Water sports or fishing on mountain lakes: enjoy great experiences! If you are attracted by cool mountain streams, then canyoning is for you. Go jumping and sliding, roping down and descending water toboggans, from pools to waterfalls! Hydrospeed involves swimming in white water with a helmet, flippers, a wetsuit and a floater: adrenaline flow is guaranteed! Rafting: go down the River Arve in an inflatable boat. Team spirit is highly recommended! 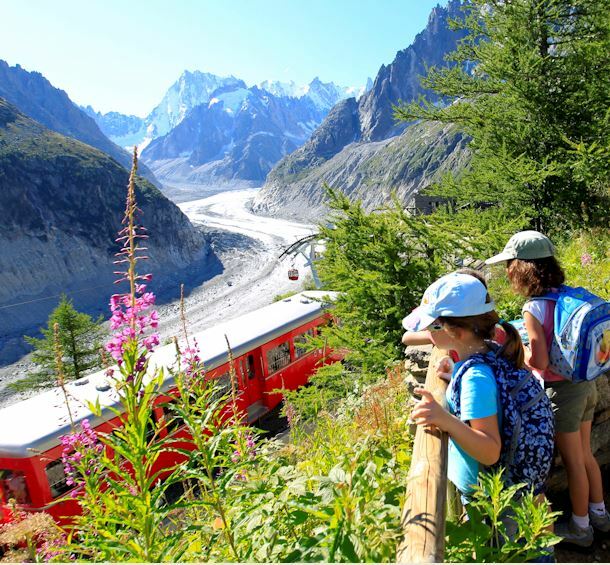 Between plain and mountain, Chamonix Valley is a real paradise for fishing enthusiasts! Tourist fishing card: 7 days: €32. 1 day: €16. Hydrospeed, Rafting, Canyoning, everything is possible at Chamonix!